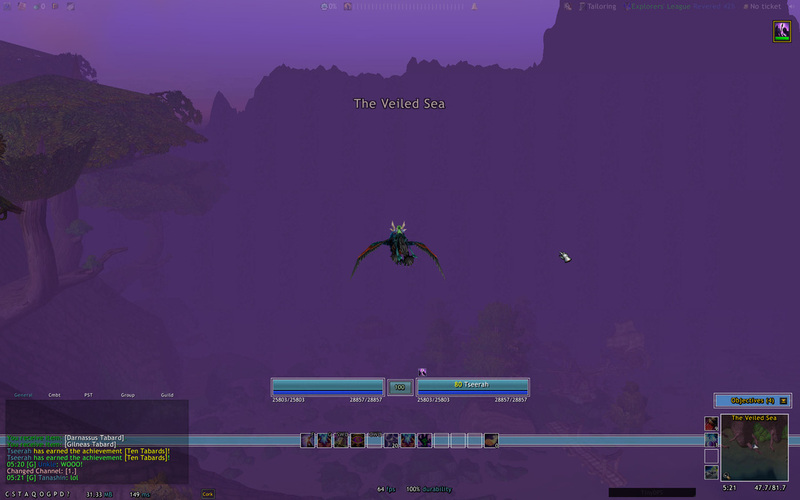 The chat expands/collapses by clicking the arrow next to it. 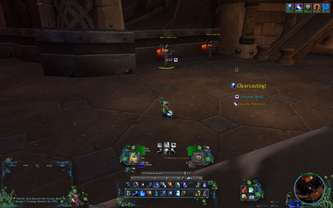 That arrow is a kgPanel, and it turns orange when there's been certain action in the chat frame. 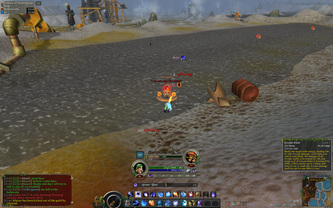 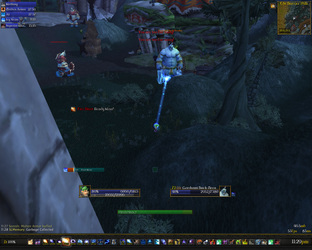 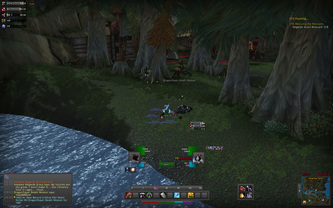 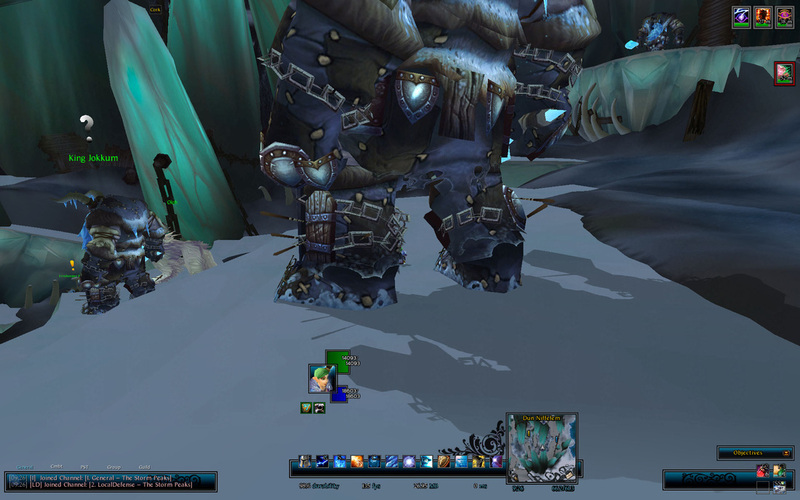 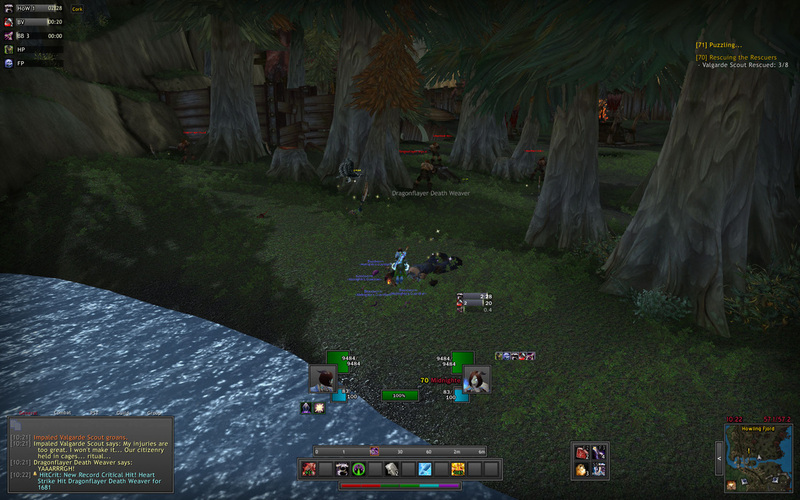 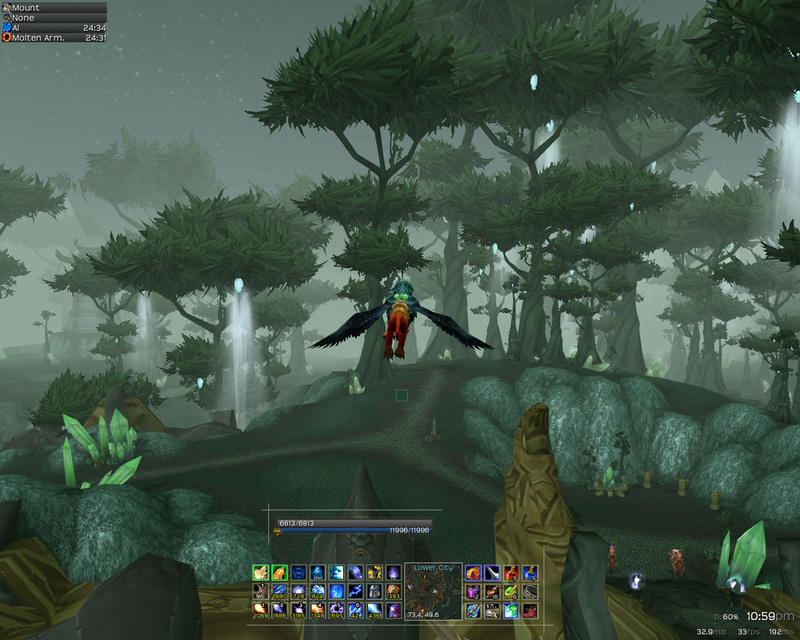 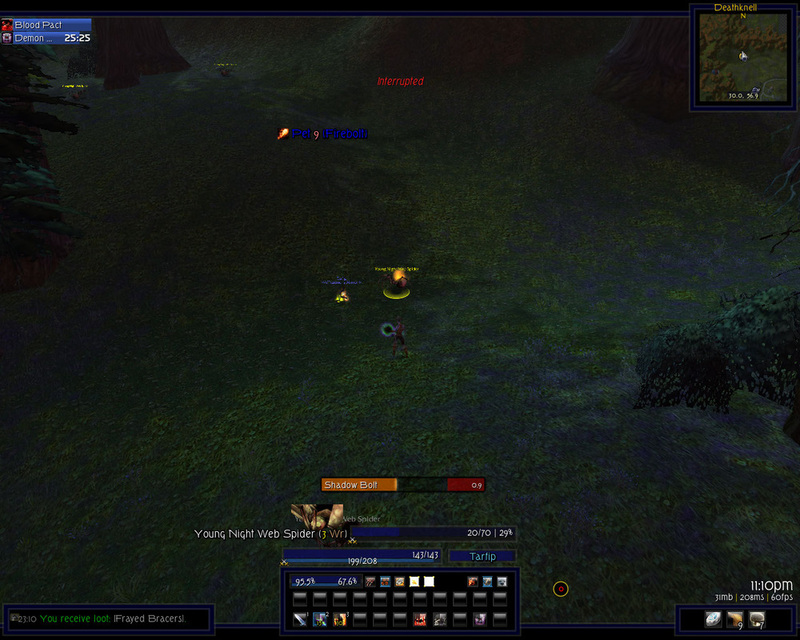 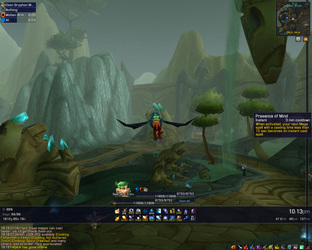 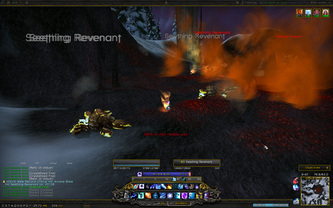 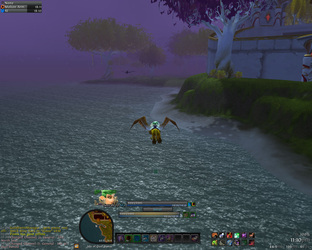 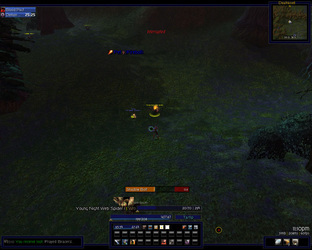 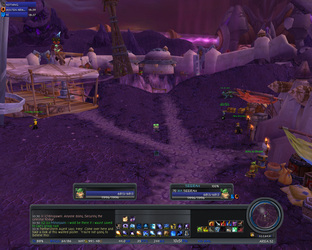 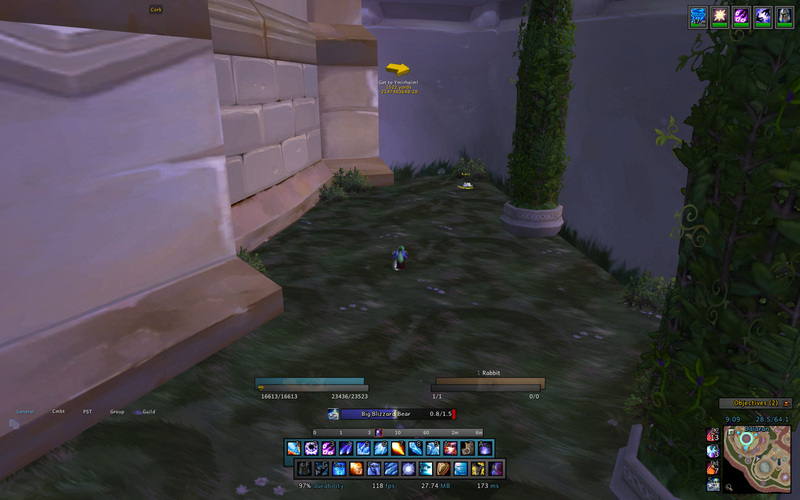 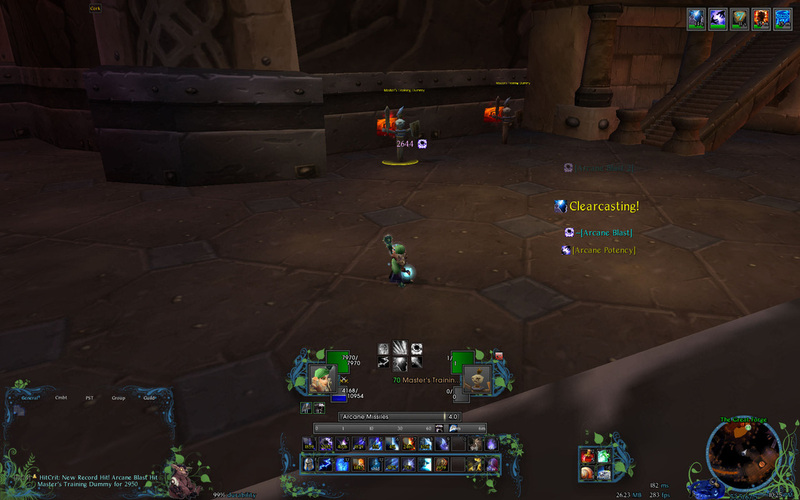 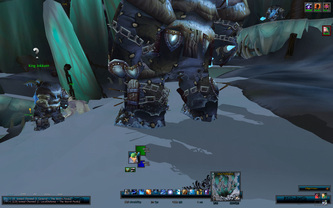 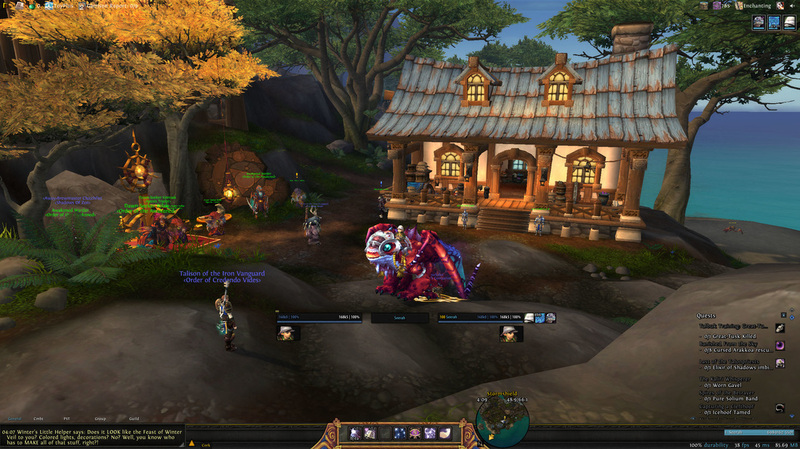 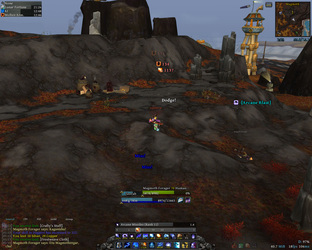 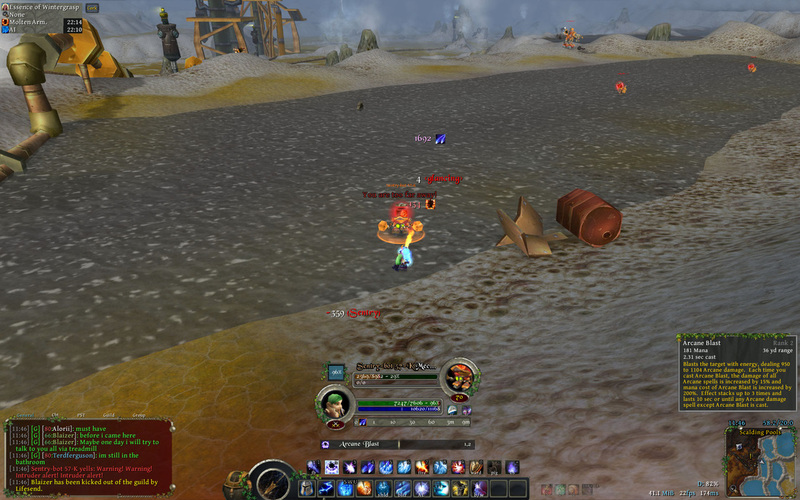 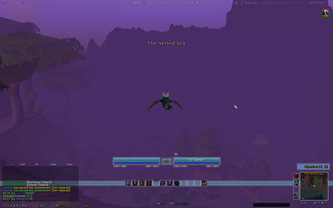 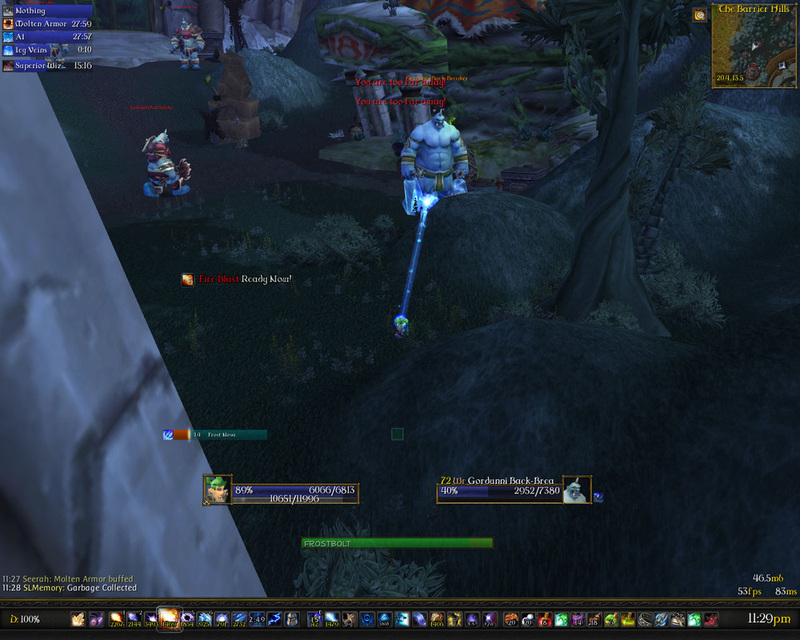 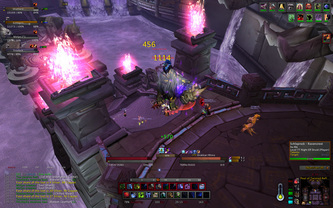 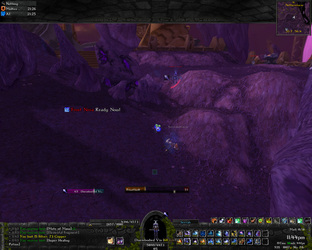 The art around the action bar is in the default UI, used in kgPanels via my SharedMedia_Blizzard. The other art along the bottom is oooold, from Firedancer UI. 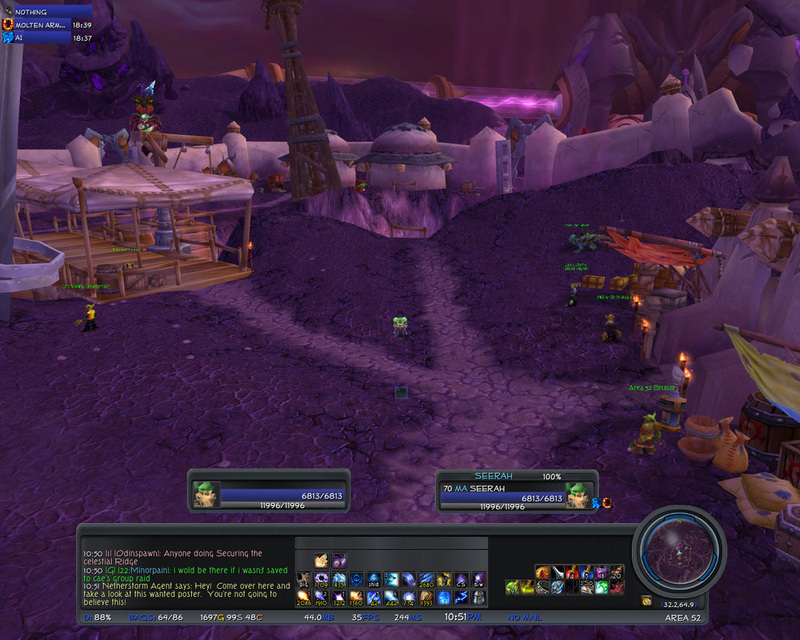 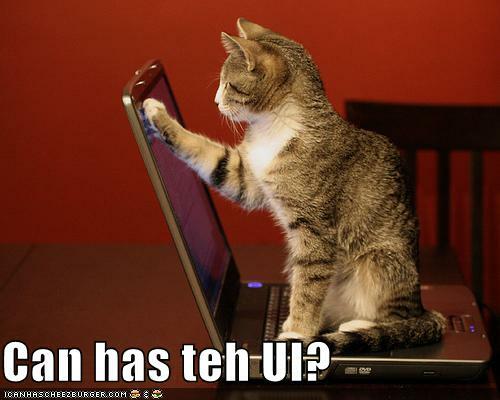 Oh, and here's the one I had between the last post and this current UI.